Home Investor BlogsBuying Investment Property Michigan Real Estate Market 2018: Can You Make Money Investing Here? The Michigan real estate market is definitely something to keep an eye out for. Let’s go over a couple of reasons why that is. Can you make money? That’s always the question when you’re talking about any type of investment, especially real estate investments. If you’re planning on making an investment in the Michigan real estate market this year, the answer to that question is yes. What makes us so sure that Michigan real estate investing will make you money? The facts. The Michigan real estate market is where you should invest in real estate. The proof is in the data- Mashvisor’s data. With Mashvisor’s investment property calculator and our other tools, our customers are provided with a nationwide data analysis. By collecting data from reliable sources like MLS, Airbnb, Redfin, and more, we’re able to make projections for nationwide areas. We want to make your investment decisions easier. So if you’re thinking about investing in the Michigan real estate market, but don’t know if it’s a smart investment, we’ve got all the answers. Reliable data helps us provide accurate information to help you make smarter investment decisions. We’re now going to list the data our investment property calculator has on the Michigan real estate market. If you would like to find data on any other housing market in the nation or just quickly analyze a specific investment property, start your free trial now. To start looking for and analyzing the best investment properties in your city and neighborhood of choice, click here. Our tool has gathered data on multiple cities in the Michigan real estate market. We’re going to provide you with data on the top-performing cities and their neighborhoods. Let’s get into it. Lansing is mentioned because of its high average Airbnb cap rate of 8.95%. Michigan real estate investors can expect a good return on investment and will be happy to see that the median property price in Lansing is quite low at $107,743. If you want to buy cheap investment properties that will still perform well, Airbnb rentals in Lansing are the way to go. Housing inventory in Grand Rapids is tight. This suggests that the Grand Rapids housing market is currently a seller’s market, not a buyer’s market. Demand is high, but supply is low, and this is driving property prices up. According to MLS data, Grand Rapids had less than a one-month supply of homes earlier this year. The constraint of inventory is clear in this housing market, especially when compared to Lansing’s three-month supply of homes at the same time. This boost in home prices will definitely prove attractive to Michigan real estate investors. Let’s get into the top-performing neighborhood in this city. Here’s where to invest in real estate in the Grand Rapids real estate market. Note: This neighborhood would be the best place to invest in real estate in Grand Rapids for Airbnb rentals. Buying investment properties in Kalamazoo also seems to be working best under the Airbnb rental strategy. Keep in mind, however, that the numbers above are average numbers from all the data collected from reliable sources. So it is possible to find investment properties in Kalamazoo performing well when rented out traditionally. Here’s what our investment property calculator has on the best neighborhoods for Airbnb rentals and traditional rentals in the Kalamazoo real estate market. Note: Both these neighborhoods have the lowest home prices in the Michigan real estate market, besides those in Detroit. These current numbers might not show it just yet, but Detroit is rapidly moving upwards when it comes to both population growth and development. Home values in Detroit are on the rise, but the Detroit real estate market is still considered to be one of the more affordable housing markets across the nation. Another reason why real estate investors are attracted to the Detroit real estate market is its booming economy. Detroit is an affordable market to both invest in or rent real estate in the current year. 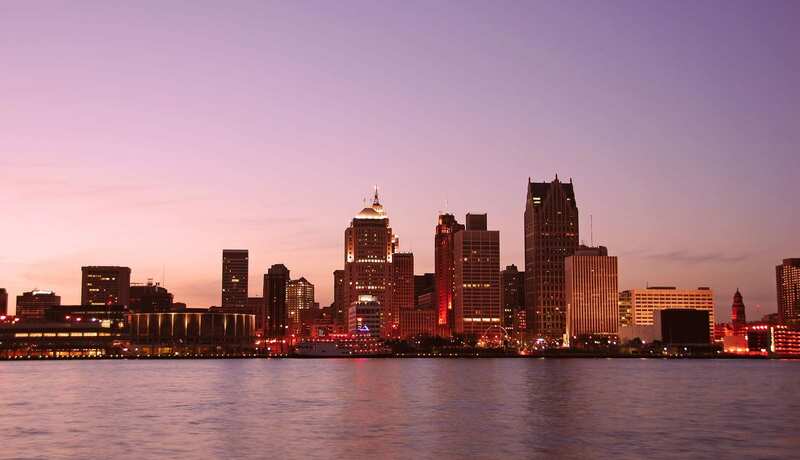 Another factor to Detroit’s popularity is the increased tourism it’s experienced. Because of its unique culture and distinctive architecture, Detroit has enjoyed increased prominence as a tourist destination in recent years. All of this and more leaves experts expecting the Detroit real estate market to stay on top and continue growing. Let’s give you some data on the top-performing neighborhoods here. Note: To start your search for investment properties in the Michigan Real Estate Market, click here. Will You Make Money Investing in the Michigan Real Estate Market? Following the right rental strategy in the right neighborhood, you can make some of the best real estate investments in the Michigan real estate market. Don’t forget to use Mashvisor’s tools to help you in all your real estate investing decisions. To learn more about how we will help you make faster and smarter real estate investment decisions, click here. FAQs: How Does Rent to Own Work? How Does the New Orleans Real Estate Market Look for Property Investments at the Beginning of 2018? Whatever Happens After Buying Income Property?